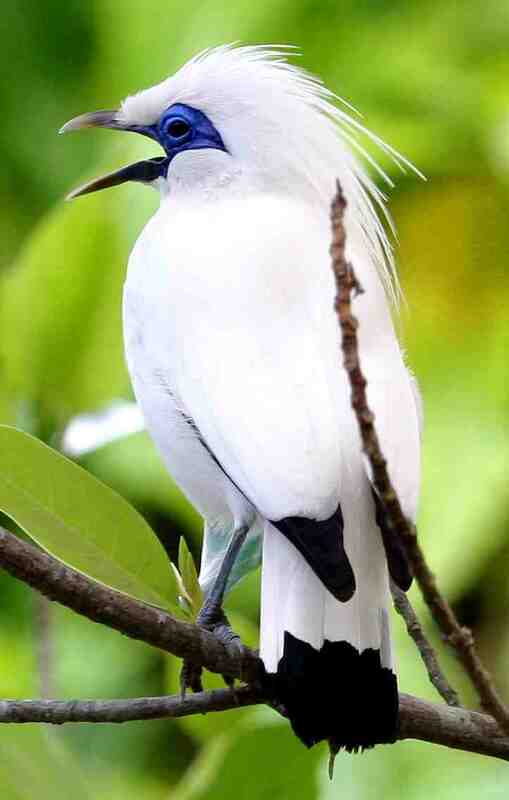 Bali starling (Leucopsar Rothschildi) is an endemic species surviving Bali and survived the extinction. Previous fate occurs at different Balinese tiger (Panthera tigris balica) were declared extinct in 1937 due to habitat loss and poaching. Hopefully it does not happen in Bali starling! Bali starling is a type of songbird with a body size of approximately 25 cm. Physical Bali starling is so charming can be recognized by the most prominent physical characteristic that is almost entirely white plumage except on the tail end clean and black wings. Bali starling has a beautiful crested both the male and female, have brown eyes, the hairless cheeks, and his eyes bright blue frame appears to contrast with the white fur color. Bali starling bird beak shaped spike with 2-5 cm long, blackish gray color with yellow tip brownish. There is no significant difference between male and female Bali starling except male body size larger and have a longer pigtail. Bali starlings unusual breed in the rainy season or ranged between November to May The eggs are bluish green oval-shaped with an average diameter of 3 cm and the smallest longest 2 cm. Bali starling was first discovered by Dr. Stressmann Baron, a British ornithologist on March 24, 1911 Stressmann came across this bird when he lived in the area around Singaraja for 3 months. Dr. Baron Stressman up there because due to sudden landing Maluku II expedition ship he was traveling was damaged. Dr. Baron Stressman find Bali starling Bubunan village, approximately 50 km from Singaraja and categorized as rare species of endemic birds and different from other types of whole specimens. In 1925, Dr. Baron Viktor von Plesen conduct further research on Bali starling and concluded that the spread of Bali starling only covers up to Gilimanuk Bubunan Village, which is only approximately 320 km ². On this basis it is known that Bali starling is a species endemic to the natural habitat is not found anywhere in the world except in the western part of Bali, which is in the Great Prapat Peninsula, precisely in the Gulf and the Gulf of Moringa Brumbun or are in the West Bali National Park (TNBB). Latin name of the Bali starling Leucopsar Rothschildi taken from the name of a British veterinary experts, the Walter Rothschild. 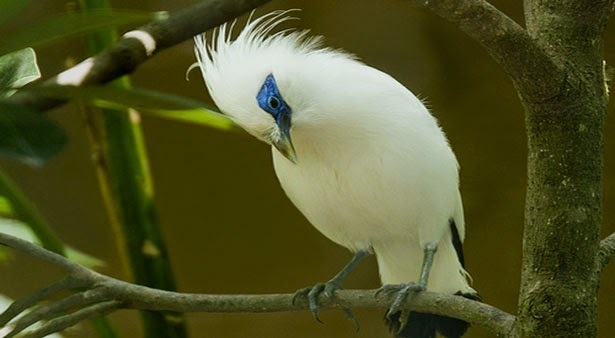 Rothschild was the first to describe and mepublikasikan Bali starling to the world in 1912. By 1928, as many as 5 tail Bali starling was brought to the UK for the purpose of breeding and successfully bred in 1931 Sandiego Zoo in the United States also helped breed the Bali starling 1962 When first identified in 1910, the number of starlings bali living in the wild estimated 300-900 birds. In 1990, the beautiful and elegant bird population is reduced drastically to 15 tails. In 2001, the Bali starling allegedly only 6 tail only and are in critical status (endangered). In 2005, the number of captive-bred Bali Starlings released into the wild population and increase in the number of 24 male native habitat. In 2008, approximately 50 animals are expected to live freely in the West Bali National Park. The causes of extinction and decline in Bali starling population in the wild is because of hunting, arrests, and illegal trade. This beautiful songbird is the target of the collector and keeper of birds. In addition to its beauty and the booms, the status of endemic and rare high value add this bird to be hunted and traded with prices reaching hundreds of millions of dollars. In fact, international trade convention for the bodies of wild CITES (Convention on International Trade in Endangered Species of wild fauna and flora) has registered the Bali starling in Appendix I, the group threatened with extinction and are prohibited to be traded. In addition to poaching, habitat threatened forests (deforesasi) and the limited area of ​​distribution of this bird are other causes that drive extinction. Currently, more bali starling population living in captivity (approximately 1,000 animals) than in the wild. This of course is an effort to prevent extinction. 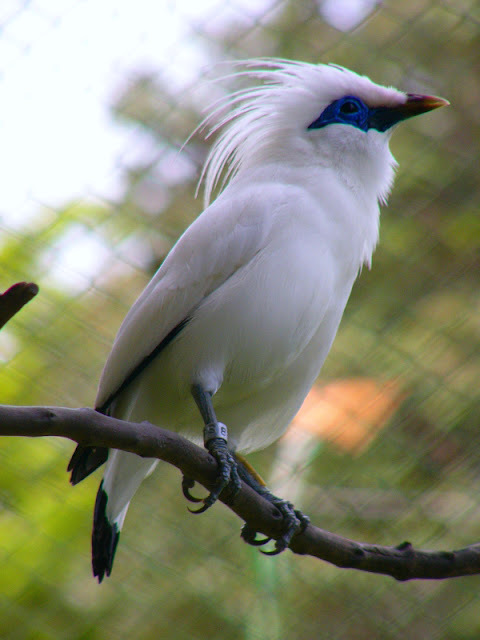 One of the Bali starling breeding center was established in 1995, located in the region of Buleleng, Bali. The existence of the protected endemic legislation also includes species in captivity in a number of zoos around the world. Legal protection to save mascot Bali bird is determined based on the Decree of the Minister of Agriculture No. 421 / Kpts / Um / 8/1970 dated August 26, 1970 Based on Government Regulation No. 7 of 1999 on the Preservation of Fauna and Flora, Bali starlings are designated as endangered species endangered and should not be traded unless the breeding results of the third generation (plants instead of natural). In addition, the Bali starling case also contained in Appendix PP 7 of 1999 and is in Law No. 5 Year 1990 contains provisions regarding fines and penalties for those who deliberately capture, injure, kill, keep, possess, maintain, transport, and these protected animals. 0 Response to "CARA MERAWAT BURUNG JALAK BALI YANG BAIK DAN BENAR "